Roadburn are very pleased to announce that The Midnight Ghost Train will be making their appearance at Roadburn Festival 2013 on Thursday, April 18 at the 013 venue in Tilburg, Holland. 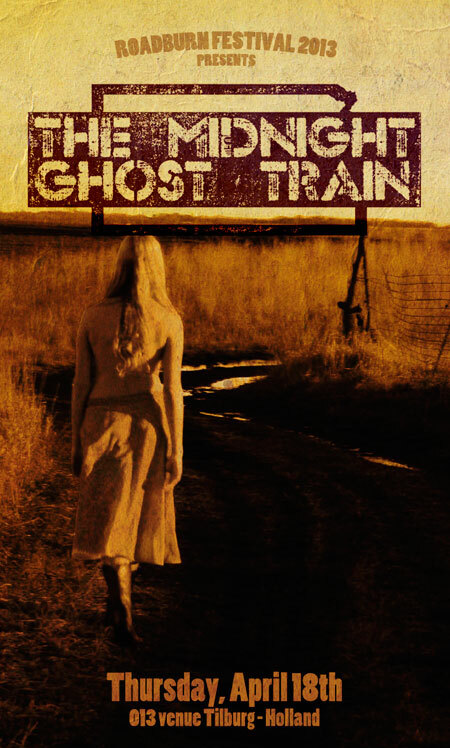 The Midnight Ghost Train is a heavy blues / stoner rock band hailing from Topeka, Kansas. For five solid years The Midnight Ghost Train has been touring relentlessly in both the U.S.A and Europe, spreading their own version of thick Mississippi Delta-rooted style of stoner rock. The band is most well known for their intense, passionate, and soulful live show. No matter where they are or how many people they play to, you will never find TMGT giving anything less than their absolute best. Now with thousands of shows under their belt, TMGT has released their new record Buffalo on Karate Body Records. It is dedicated to guitarist / singer Steve Moss‘ father who recently passed away. Buffalo has been highly reviewed by hundreds of different sources, many of which state that it is “the greatest stoner rock record of 2012″ – Heavy Planet.